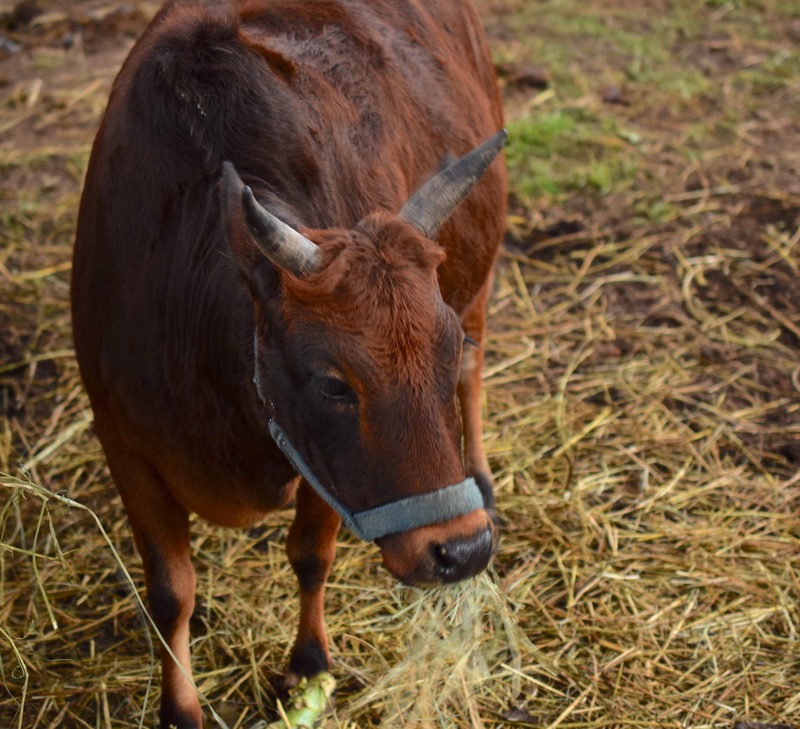 Laxmi has all of the classical features of a miniature zebu cow, very short with a rich dark brown color. She is the mother of our ox Ramananda. She is still very protective of him even though he is now bigger than she is. Laxmi has never learned to trust humans and will run in circles around the cow pen if she thinks we are coming to her to adjust her halter or some similar frightening act. Despite her deep fears, if someone comes to her with gur she will come up and eat out your hand, and then quickly retreat to a safe distance.